Toronto is a bright city with many hidden treasures. Our current exhibit Lights of Toronto showcases some of the most exciting places in the city. To celebrate these treasures, here is a list of the 5 best places in Toronto you haven’t seen! And yes, all of these photos can be found in our gallery! Humber Bay Shores is one of the most beautiful sights in all of Toronto. Enjoy some fresh air by the lake as you stroll through the great white bridge. Encompassing the Humber river, the bridge connects Toronto's nature to its vibrant city life. In the summertime, you can go swimming at the Sunnyside pool and explore the beach. Warm up in the winter at local restaurants Eden Trattoria, or watch a hockey game at Firkin at the Bay. If being by the water is your thing, then you will love Humber Bay Shores. Old City Hall celebrates its 120th birthday this year and while you can’t visit unless you’re planning to attend court or book a school trip, it’s still worthwhile to see the exterior of the building. 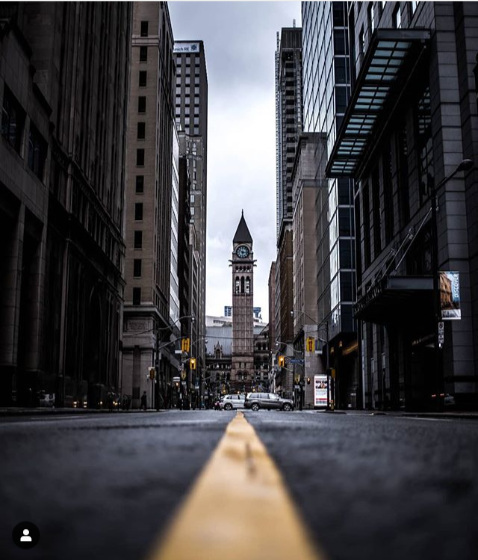 Located at Queen and Bay, this stunning photograph captures one of Toronto’s most breathtaking views – the perfect shot of the clocktower. You’ll want to be around when that magical clock tower chimes. With Nathan Phillips Square and the Eaton’s Center within walking distance, this building is MUST SEE for first timer’s to Toronto. While Honest Ed’s may be gone, The Annex remains one of Toronto’s most charming areas. Full of small shops, unique restaurants, used bookstores and all kinds of fresh farmer’s markets, the annex is a cornerstone of Toronto culture. Located at the intersection of Bloor and Bathurst, this spot is a must traveling to the city for the first time. And don’t worry if you missed the giant lit sign, there are plans in the works to relocate the sign to outside Ed Mirvish Theatre. You can also purchase a bit of Toronto’s history, as their hand painted signs are on sale for $60. If you’re a foodie fanatic, we’ve got the place for you! 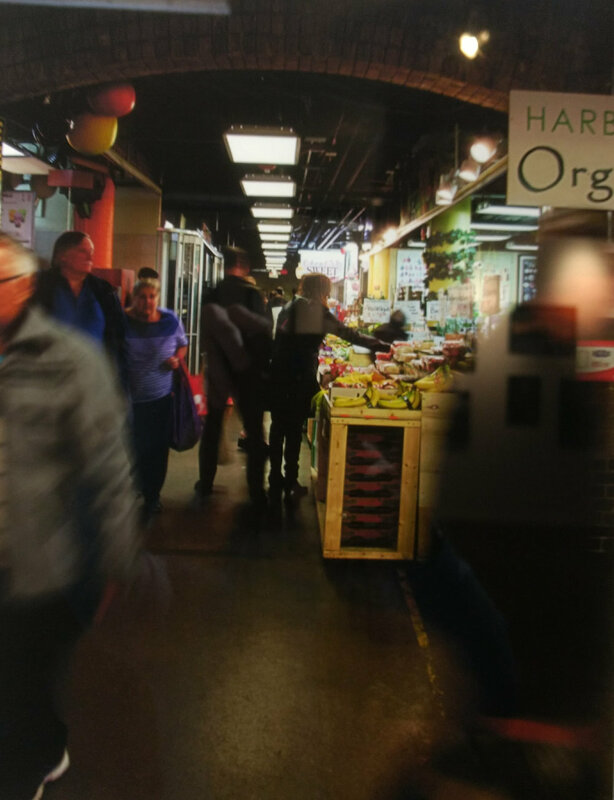 St. Lawrence Market is the perfect neighborhood area to explore delicious restaurants, art, and food markets. This is the ideal stop to enjoy a sunny day out or even a winter day. You can catch a glimpse of everything from jewellery stores to unique home accessories, and even outdoor events or festivals. St. Lawrence captures a moment of history as to being one of the greatest markets in Toronto. Food is for eating and good food is to be enjoyed. High Park is Toronto's greatest escape from the citylife. With a zoo, swimming pool, hockey rink, and countless nature paths to explore, High Park is a vacation destination in your own backyard. In spring there are the famous cherry blossoms, and in fall there are dozens of colours to admire. Skate on the frozen lake in the winter or their professionally built hockey rink, and enjoy the Canadian winter for what it is. Among the many dog walkers are plenty of birdwatchers searching for the elusive Canada Goose. Just kidding! Home to the Great Blue Heron, Belted Knightfisher, and the Purple Martin, among others, the park is full of interesting wildlife. That concludes our list of the best places to visit! Lights of Toronto runs from January 3rd to February 22nd. Among the photos shown here, there are plenty more views to be enjoyed at the gallery! Drop by anytime From Tuesday to Saturday, from 11-6.